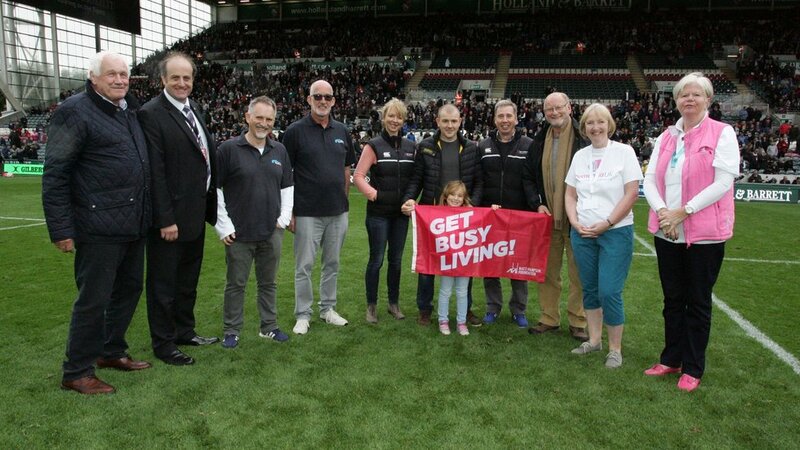 Leicester Tigers introduced representatives of the official club charities for the 2018/19 season at the club’s opening home game of the Gallagher Premiership season. Representatives from each of the charities joined Tigers Chairman Peter Tom for an official presentation on the Welford Road pitch at half-time during Saturday’s victory over Newcastle Falcons in front of more than 20,000 fans. The club will this year recognise four Official Charity Partners, teaming up with The Bridge Homelessness to Hope, Dementia UK and The Matt Hampson Foundation alongside the Leicester Tigers Foundation. The Bridge Homelessness to Hope helps over 650 people in Leicester who are homeless or seriously disadvantaged partnering with specialists to improve physical and mental health whilst improving skills and confidence. The charity’s focus is on helping people to help themselves towards better futures. Dementia UK provides specialist dementia support for families through our Admiral Nurse service. The charity give the one-to-one support, guidance and practical solutions people need, and that can be hard to find elsewhere. Formed in 2011, The Matt Hampson Foundation aim is to provide advice, support, relief and/or treatment for anyone suffering serious injury or disability. Through the inspirational story of former Tiger Matt Hampson, the team offers hope and inspiration to young people with similar injuries as he shares his experiences and devotes his life to raising vital funds for those in need of support. The Leicester Tigers Foundation utilises the power and expertise within Leicester Tigers Rugby Club to help make a positive difference to the lives and opportunities of individuals and groups every year. Scott Clarke, head of community at Tigers, said: “Supporting local charities continues to be a huge part of the work we do each season at Leicester Tigers. “We hope that through the club’s association with our charity partners, we can help to support their causes as well as help to spread awareness of issues within the #TigersFamily and wider community. Tigers’ charity partners receive a number of benefits to include a collection at a first-team match and assistance in raising the charity's profile by adding the stature of the club during their time as a partner. 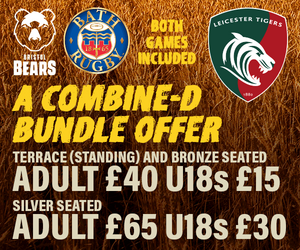 As well as the benefits to charity partners, Tigers also make available 100 pairs of tickets to each of two designated 'charity fixtures' to be used by fund-raisers to generate revenues. For more details of the club’s charity policy and official charity partners, visit the link below.